These threaded steel bungs are 3/4"diameter and are drilled and tapped all the way through with 5/16"-18 thread. 1-1/2" in length. 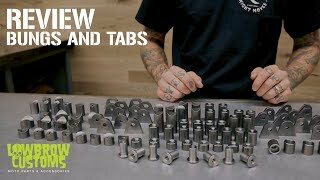 They are 1018 cold rolled steel for easy welding and are great for mounts of all sorts.